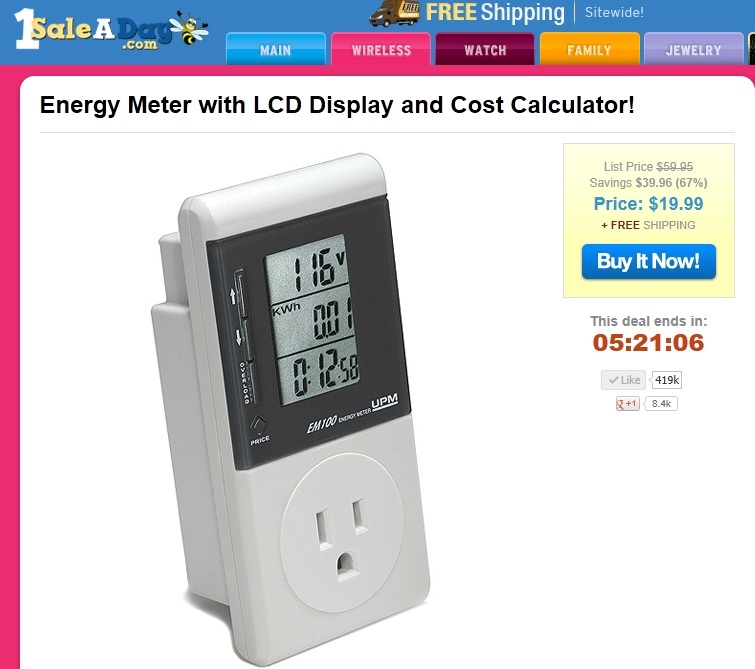 Sisters with Stuff: Energy Meter $19.99 and FREE Shipping! I wonder if this would help you save energy and money, if you could actually see how much it cost to have something plugged in. Might be a great eye opener for kids too that like to leave things on! Only $19.99 at 1SaleADay.com .